Successful bloggers make hundreds of thousands of dollars per month. Each of these bloggers may have a unique way of making money from their blogs. However, I can vouch for one thing - none of these entrepreneurs become successful overnight. All of them have worked hard for months and years to become what they have become today. You need to build a significant audience base for your blog. No blogger can monetize their blogs if they don't have sufficient readers. In fact, most of the bloggers fail at this stage. According to a report, only 13% of the bloggers make $1000 or more per month from their blogs. This is because most of the bloggers give up too soon. Create high-quality search engine friendly content and promote through all possible media. Optimize your site for search engines, as Google is the primary source of long-term traffic. You can use sponsored post feature of Facebook to amplify the reach of your blogs to a targeted audience. Also, use email marketing automation to build a loyal audience base. Most of the successful bloggers use affiliate marketing to generate passive income from their blog. They write great content, build traffic and recommend great products which they have used in the past. On every sale of the product through their affiliate links, bloggers make a commission. To build a sustained income through affiliate marketing, you need to generate massive traffic. Also, you have to be ethical in promoting a product. Ideally, you should promote only those products which you have used and found them excellent. You can get started with affiliate marketing by signing up on ShareaSale.com, cj.com, or any other suitable affiliate platforms. Also, You can directly join affiliate programs of merchants such as Amazon or any other appropriate merchant which sells product related to your niche. You can provide online training through your blog. 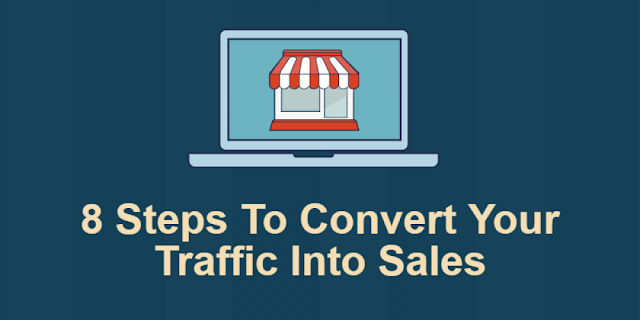 To generate income from selling training programs, you don’t need heavy traffic to your website. You can generate a decent income even you have 50 or 100 visitors a day on your blog. There are several platforms that you can use to start online training. Some of them include Udemy, Teachable, etc. These platforms help you with the infrastructure required to set up an online training program on the website. Based on the package you have chosen, they may charge a percentage of sales as their fee. Many bloggers generate a decent income by selling eBooks through their website. You can do it too. You can write an eBook on any hot topic in your niche. If you have a large number of evergreen posts on your site, you can compile them logically to make it an eBook. Of course, you need to compile it skillfully and put additional information to develop it in the eBook format. There are several platforms like Amazon Kindle, Smashwords, and Lulu that can help you turn your idea into a brilliant eBook. To drive traffic to the landing page, you can use link your articles to eBook. You can also hire a content writer if you don’t have time to write the eBook or not very comfortable with writing eBook. Many bloggers use the old technique of AdSense to monetize their blogs. Although it is a great tool generate income, the earnings are too little to sustain for long. Thus, you need to adopt cutting edge techniques to make money from your articles. You must create unique, top quality content regularly and use efficient internet marketing techniques to build an audience. Once you have built a significant audience base, you have done half of the work. Remaining half can be done by using right monetization strategies as discussed in this blog. There are numerous ways to make money online from blogs. However, the techniques discussed above are highly efficient and takes less time. If you have any other method or methods that are more effective than the ones discussed above, please share it through comments. About Author: Adela Belin is a private educator and professional writer. She shares her teaching experience with colleagues, students, and writers. Feel free to contact Adela on G+.